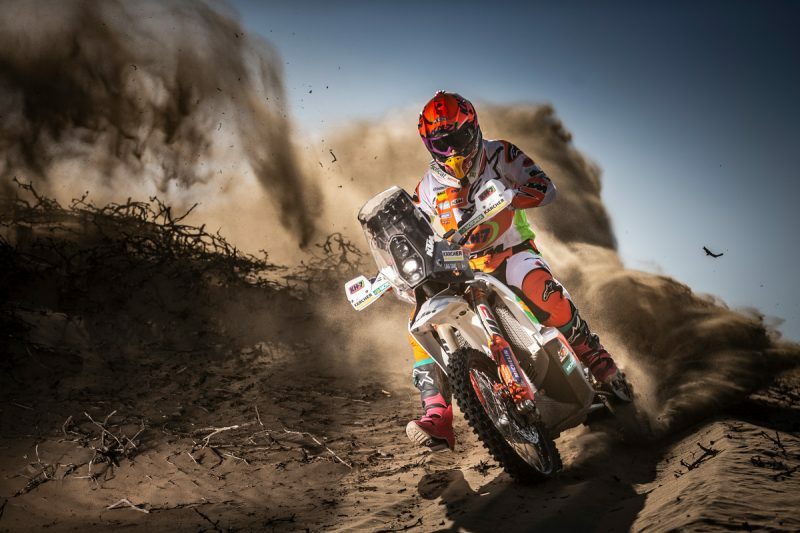 Dakar is tough, it’s grueling, it’s demanding – it requires excellent bike skills, and physical endurance whilst negotiating some of the most dangerous terrain in a motorcycle race. With wild extremes and navigation over 1000’s of kilometers from a piece of rolled up paper during the two weeks of the event, Dakar is the ultimate test for offroad riding skills. 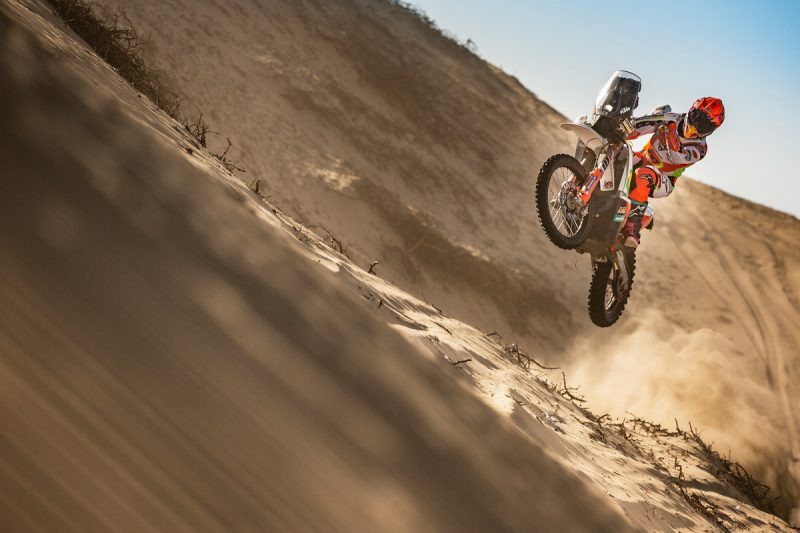 KTM Factory Racing’s Laia Sanz is one of the only people to have finished every Dakar they’ve raced, that’s eight so far, and whilst being the top female competitor, she has enjoyed a number of top finishes within the top 10 and 15 in the overall standings. An outstanding result for any competitor. The five-time Enduro World Champion is always working hard, and is coming into the most important preparation time of the year for Dakar 2019 (the race highlight of the year), having raced some rallies and enduro events in recent months to keep her ticking over. “Last year I did a hard training, I lost some weight. I was working hard in the gym, cycling, training a lot on the enduro bike and rally bike. I think in Dakar it’s not only one thing, you need to be really complete. Your head needs to be fine, you need to be in a good physical condition,” began Laia when asked what makes a good Dakar racer. Last year Sanz was battling for another Enduro World Championship title, but it was difficult to switch between the heavier rally bike and her KTM 350 EXC-F when racing at such a competitive level. Now the KTM racer competes in national Spanish enduro events for fitness, especially as it provides around eight hours on the bike racing in Enduro2, which supports her training program for the rally events. She feels more focused and relaxed with this setup. So, what gets a young woman into bikes and then into rally racing – one of the most difficult racing disciplines of them all, with such high-risk factors and such a need for physical greatness? The answer is simple: A sheer love of bikes, and a passion for being the best she can be. It is well documented that women don’t have the same strength, endurance or even lung capacity as men, but Laia’s technical skills that she honed on a trials bike previously (she was a world champion at this too) gave her a fantastic technique that ensures energy is not lost in difficult places on the rally bike. Sanz is also excellent at navigating with her calm, precise approach, which gives her an advantage over many of her competitors. However, with the extreme cold, followed by the extreme heat, the altitude, the terrain, the long days, the lack of sleep, fatigue, it’s not easy for any Dakar racer. The mental challenge to get up at 3am and race those conditions day-in, day-out is one that every rider has to battle, whilst not losing concentration after hours on the bike – a moments lapse can be catastrophic. We asked the question: Do you ever wonder why you’re doing it? She’s an incredible woman, an ambassador for sport in general with a strong allegiance of fans and while it’s a cliché thing to say she’s a woman succeeding in a man’s world, Laia demonstrates and represents what can be achieved despite any physical disadvantages with enough grit and determination – I’m sure many of the hundreds of men she’s beaten in races would agree. 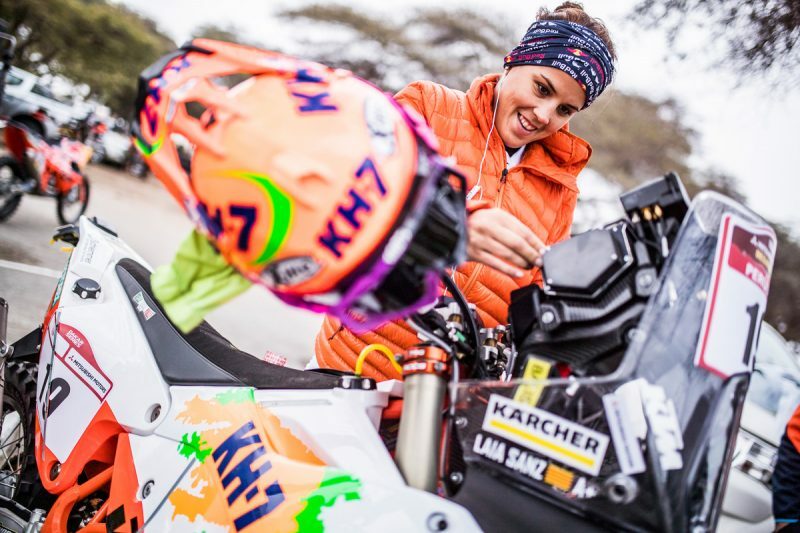 All focus and intensity is on the Dakar 2019 race, which begins on January 6 where Laia will aim for a great result aboard her KTM 450 RALLY factory machine.